Over an hour and a half ago, Palestinian terrorists staged a three-pronged terror attack near the southern Israeli city of Eilat, injuring dozens of people. Dozens of people were hurt on Thursday after terrorists opened fire on two buses that were traveling in southern Israel near the city of Eilat. In addition to the shooting attacks on the buses, mortars were fired from the Egyptian border. The first attack was on a bus traveling from Beer Sheva to Eilat, near the city of Netafim. Shortly after the bus attack, IDF forces engaged in a shootout with the armed men near the scene of incident. Initial reports indicate that the shooting came from a car that was following Egged bus 392, traveling on Route 12 in southern Israel. According to reports, the passengers in the car opened fire at the bus, which held many soldiers returning from their bases. Israeli security forces searched for the suspected vehicle and set up barricades in the area, and once they caught up with the vehicle a shootout between IDF forces and the gunmen erupted. Two IDF helicopters were called to the scene in order to evacuate those wounded to Yoseftal hospital in Eilat. Magen David Adom director told Army Radio that those wounded are all in light to moderate condition and remain conscious, and assured that the incident is under control. Security forces are investigating whether the incident was a terrorist attack. Five of the wounded are reportedly in critical condition. 8:58PM: The Iron Dome missile defense system has intercepted at least one Qassam rocket fired towards Ashkelon. 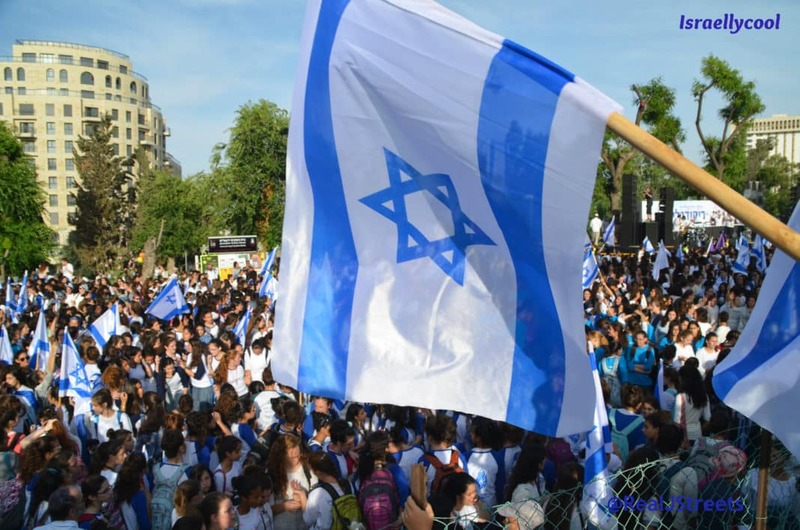 8:30PM: And the attacks continue: 2 more people were critically wounded when gunfire erupted close to the site of the deadly series of terror attacks, during a press conference by Defense Minister Ehud Barak and IDF chief Benny Gantz. 6:48PM: The IAF has reportedly struck Gaza. 2 ) Salma / Palestine18/08/2011 13:26smell of an “Israeli” intelligence operation. same old games. 3 ) Omar / Gaza18/08/2011 13:32Good news, bravo Israel and well done. 4 ) Heba / Jenin18/08/2011 13:34thought jews do not kill each other ! 5 ) Wissam / Palestine18/08/2011 13:35The target was a vehicle carrying SOLDIERS. Therefore this is not a terror attack but an internationally-sanctioned resistance operation against an occupying power. 6 ) Goerge / Ramallah18/08/2011 13:35for Netanyahu and liberman It’s okay to kill some Jews to stay in the government . 7 ) Ahmad / Nablus18/08/2011 13:41shame on you Netnyahu, cant you find a better way to silence the protesters against your government ? terror is not the soultion . 9 ) Palestinian 4 ever / Palestine18/08/2011 13:54Zionists do not dare to re-occupy Sinai or gaze . Israel is so much weaker today than ever. 10 ) chil / usa18/08/2011 13:55bravo, and this is not a terrorists attack, this was a military operation on military targets. if nato can seek out military targets and kills civilians in the process and get away with it then all is fair. if any civilians died its too bad they should know israel is a closed military zone that u enter at ur own risk. more attacks should happen like this. there’s no way that israel should be allowed to occupy palestine without paying a price. 12 ) Amjad ibn Hamas / Gaza18/08/2011 14:07hahhaha, Gen.Barak can not do anything, It’s the beginning of the end dear zionists. 15 ) Mousa / Egypt18/08/2011 16:01Israel no longer can act against Sanai . cowards. 20 ) abu Jihad / Gaza18/08/2011 16:21barak you coward , strike gaza again, for us there is nothing to lose. 22 ) Omar / USA18/08/2011 16:35this is the only language that the Zionists understand. The Criminal State of Israel is responsible for the death and displacement of Millions of innocent people. Why is this a shock? Why are Jews who fought the Nazi’s heroes and the Palestinians who fight for freedom not? There can never be peace with these zionists….. NEVER. 23 ) michael handala / earth18/08/2011 16:46it came from gaza according to barak? That is a lie, it is conjecture,it is wishful thinking so that they can go back in and start doing the nazi slaughter of civilians again….Just the perfect false flag they were looking for to stop the birth of Palestine, and the coming of the 81 congressmen…Bad timing…for Palestine…. This is why peace is so far away. 6:30PM: As opposed to the cowardly terrorists, here is a real hero. 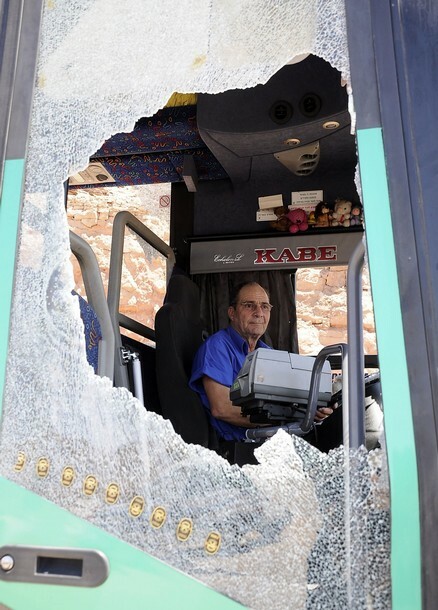 Benny Belevsky, the bus driver on the 392 Egged bus that was attacked by terrorists on Thursday en route from Beersheba to Eilat, was able to prevent a tragedy from turning into a catastrophe by taking swift action in real time. Witnesses say the 60-year-old driver continued to drive through the hail of gunfire, doing his best to escape the terrorists. 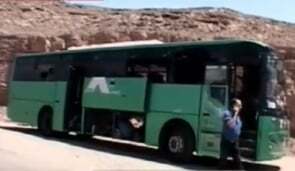 Passengers on the bus also reported a few soldiers on board fired back at the terrorists as the bus sped away. Belevsky added that the passengers panicked, and that some of them were hurt, but he knew he had to get to the IDF checkpoint at Netafim. “It was scary – you never think something like this will happen to you. But I did what I had to do,” he said. 4:47PM: Channel 2 has reported that the bodies of the terrorists were rigged with explosives. 4:45PM: 2 children are reportedly among the dead, but that’s ok to Hamas and the other terror organizations, since they are considered legitimate targets. 4:42PM: According to an Israeli official, the terrorists went from Gaza into Sinai and then infiltrated Israel. But before scurrying off in to hiding, a Hamashole said the group was not behind the attacks, but praised them anyway. 4:25PM: Reports of the death toll rising to 7. “Egypt was in no way involved in the incident, since it is difficult to penetrate the Egypt-Israel border. You can also call 1 800 400 101 for donating blood. 3:35PM: Still awaiting world condemnation of attacks, coupled with calls for Israel to show restraint and stop building houses. 3:15PM: It’s been confirmed: 5 dead. Occupied Om Ar-Rashrash- Two Israeli military buses carrying soldiers were ambushed by a group of unknown militant members in the occupied territories city of Eillat( Om Ar-rashrash) southern of the occupied Palestine, Thursday August18th, 2011. Israeli sources reported in an initial details that six Israeli soldiers were killed, while 25 others have suffered moderate to mild injuries in the attack, which took place about 30km(18 miles) north of Om Ar-Rashrash. 2:04PM: Several people have been reported dead, in addition to the 15 wounded. May G-d avenge their blood. 2:00PM: I have heard reports the terrorists have been killed.